Obituary for Gertrude (Robinson) Preble | Kroeze-Wolffis Funeral Home, Inc.
Mrs. Gertrude Preble, age 91 of Fremont, passed away peacefully at her home on Sunday, January 20, 2019. She was born on June 13, 1927 in Holland, Michigan to Thomas & Gertrude (Boot) Robinson. She was an active member of All Saints Catholic Church in Fremont, and she had been a 6th grade teacher for Fremont Public Schools, where she had also been a substitute teacher for many years. After teaching, Gert worked in the Customer Service Department of Gerber Products Company. She had also been a volunteer for the Gerber Hospital HAGS, TrueNorth Community Services, Fremont Area District Library, the Dogwood Center, and her church nursing home ministry. 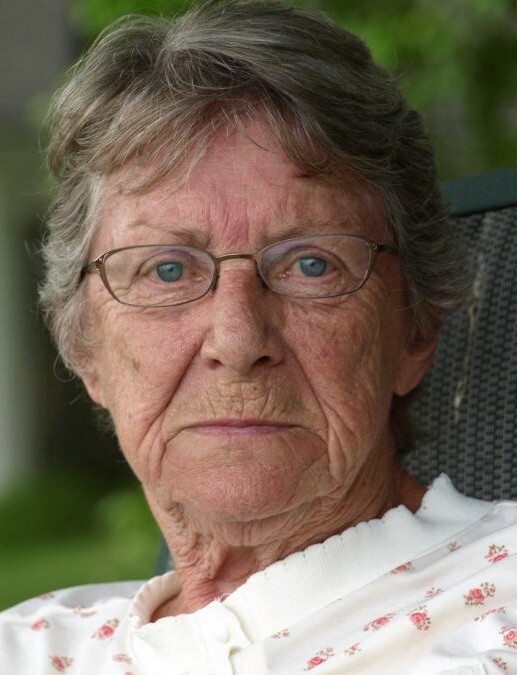 In her 60 years in Fremont, Gert was blessed with many wonderful friends that she loved dearly, and if you were lucky enough, you were able to join her at her favorite place on the porch of her cottage. On October 4, 1958 she married William E. Preble and he preceded her in death on November 15, 2002. She was also preceded in death by 8 siblings. Survivors include 3 children: Mark (Linda) Arnold of California, William T. (Marci Gray) Preble of Fremont, Marcie (Michael) Vance of Indiana; 8 grandchildren: Joe (Heather) Arnold, Matthew (Tania) Arnold, Tom (April) Arnold, William T. (Chasity) Preble, Jr., Mark (fiancee' Samantha) Preble, Kristina (Troy) Howley, Emma Vance, & Kelly Vance; 14 great grandchildren; 1 sister, Dorothy Ludlam of Illinois; and by her huge loving extended family. The Mass of Christian Burial will be held at 11:00 AM on Saturday, January 26, 2019 at All Saints Catholic Church in Fremont with Fr. Pete Schafer as Celebrant. Visitation will be at the Kroeze-Wolffis Funeral Home from 4-7 PM on Friday, and at the church from 10-11 AM on Saturday. Suggested Memorials: The Fremont Area District Library, or TrueNorth Community Services. You can sign the online guest book at www.kroeze-wolffis.com. Arrangements are by Kroeze-Wolffis Funeral Home, Inc. of Fremont.